One of the most overrated fruit I have come across, the relatively large Mango tastes quite nice in a way, with a tangy, chunky texture. Unfortunately, it also suffers a problem quite common among the less popular fruits in that it has a slight vegetable flavour. The culprit in question is the parsnip. 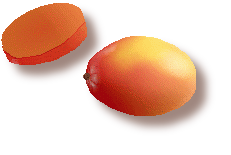 Also see this site for more info on the mango, or (advert) try the Deluxe Mango Flavored Soap . Another hard one to pin down. The inside 'membrane' jelly substance is similar to the passion fruit, and the taste isn't bad - kinda like a cross between a watered down kiwi fruit, fermented grapes and I think I can even detect a slight 'bubble gum' flavour too. Bigger than a blackcurrant, but smaller than a blackberry, the blueberry is somewhat between the two in taste quality too. It has a somewhat more neutral taste than the blackcurrant, and is more 'chunky'. Woah this does bring back memories. It is an understatement to say this is awkward to eat. The rankings for all the fruit listed on this page do /not/ take into account ease of eating (or peeling) which is why the Pomegranate scores so highly, but it would certainly score lower if this factor was taken into account. You open the thing up and there's an inedible 'pulp skeleton' with loads of small seeds roughly on the inside. So where's the fruit you may ask? 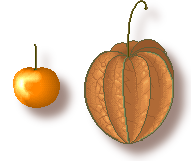 Well, believe it or not, the fruit is contained in a very small 'bag' around each seed. So all you have to do is take out each seed and painfully bite around each one. It's a bit like eating hundreds of tiny plums! 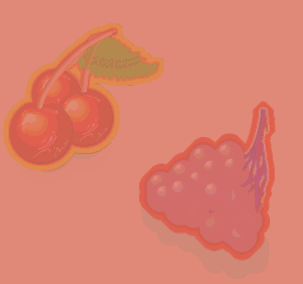 Taste is a cross between red currant, cherry and orange. If Microsoft ever designed a fruit, the Pomegranate would surely be it. Lemon shaped but longer, and with a cheesy looking skin. 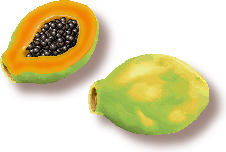 I previously gave this a low rating, but have since tried one with much more flavour - and have therefore passed the "Winner of the most Insipid fruit" award to the pawpaw. The taste is akin to the melon, but with a more refined, sweeter taste. 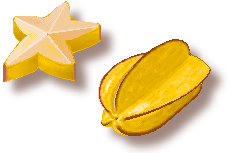 There are two main varieties of the Starfruit (also known as the 'carambola'). The other type is very sour, but it's the 'slightly sweet' version which is reviewed. Well, it certainly looks cool enough - but how does it taste? Well, similar to a watered down pineapple or apple, and almost as crunchy. Your description of the blimbing (carambola or starfruit) resembles nothing I've ever encountered in southeast Asia, ripe from the tree, but sure sounds like what you'd get in a New Jersey supermarket ... might as well eat wax fruit! All pictures and text on this page are copyright 2002 onwards D. White. 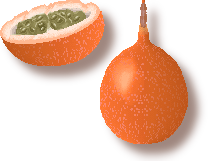 Anyone wishing to use any pictures from this page as fruit clipart, or for commercial purposes, please contact me for permission.